Throughout his career, David Ross has successfully blended engineering and business to epitomize the entrepreneurial spirit. Under his leadership, Ross Video has become a global leader, closing the gap between the fields of technology and innovation and the world of arts, sports and entertainment. David Ross’ long history of computer programming innovation dates back to his childhood; in 1975, at the age of nine, he won three major engineering competitions at the national level with projects involving real time programming and computer graphics. While still in university, he worked in the company his father founded, Ross Video, to develop inventory control software and manufacture test software, along with production switcher hardware and software, and was even awarded his first patent for the innovative Downstream Multi-Keyer. In 1991, he graduated from the University of Waterloo with a degree in computer engineering and several business courses under his belt. 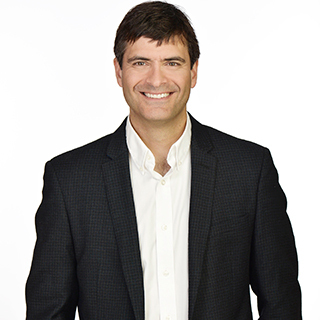 He joined his father’s company in 1991, at which point he began leveraging his business acumen and his engineering skills to transform the small, Eastern Ontario firm into the global powerhouse it is today. Since 1991, the company’s sales have grown 17% per year on average, and under his leadership, Ross Video has experienced positive revenue growth for 26 straight years. His success, and that of his company, have earned him several nominations and awards, including being named Ottawa’s Best Large Business in 2015 and CEO of the Year in 2016. Moreover, David Ross has shown exemplary loyalty to the next generation of local engineering innovators and entrepreneurs by providing numerous co-op and employment opportunities to uOttawa students and alumni within the firm, and he encourages his senior engineers to take part in uOttawa Faculty of Engineering activities.